I'm a little late to the Podcast Party but now I've made it I'm a total convert! Quick to download, easy to have on your phone and perfect for listening to while you get on with other daily activities. I've put together a short list of some of my favouites (although there's a wealth out there to choose from). Some more parenting focused than others and varied in length, there's bound to be something for whatever mindful mood you're in. Zoe Blaskey is a pregnancy yoga teacher, certified coach and meditation teacher. Her coaching focuses on supporting new mums to find their own path in motherhood. The podcast has an interview focus and Zoe has attracted some of the best wellbeing and mindfulness experts around. The show has a strong focus on practical self-care which is great when you’re needing a little TLC but there are no spa trips on the horizon! I especially loved the episode with psychologist Suzy Reading. Not exactly a parenting podcast, Brooke McAlary from Australia focuses on a wide range of topics connected by the fundamental desire to live a slower and more meaningful life. As a mother of two, Brooke struggled with PND and sought out different ways to live her life and cope with the chronic overwhelm she felt. 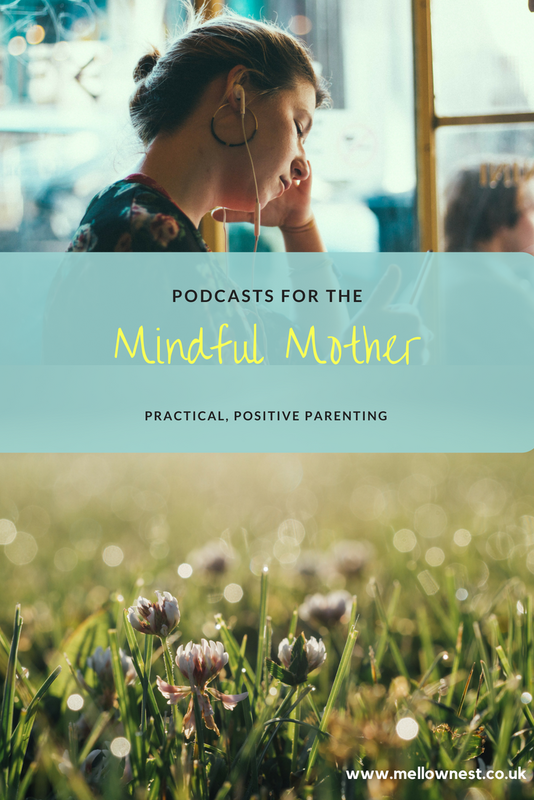 As a mum she understands the challenges of being mindful and present in real life and has some great interview episodes. Wonderful and inspiring if your interests tend towards mindfulness and minimalism. If you’ve got a baby or toddler this is one for you. Janet Lansbury, a Respectful Infant Educator (RIE), talks about the challenges of parenting and how to address children’s emotional needs in a supportive and practical way. The philosophy behind the RIE movement is that even young infants are more capable than we think and that by providing the right scaffolding and support they can thrive from a very early age. She's great at providing examples of how to actually speak to children, giving you a script to work from when you find yourself in a situation. This is for those of you who like some hard evidence! Jen Lumanlan is a researcher at heart, with Masters degrees in both Psychology and Education. She doesn’t claim to be a parenting expert so much as being able to translate the complex world of research into useable parenting information. She considers and discusses a wide range of topics from emotional wellbeing, to the impacts of nature, to the complications of growth mindset. It's a little heavier on the statistics and facts so only check it out if that's your thing. Mostly I've learned that there are no simple answers! Hope you take a few minutes to check some of these out - we'd love to hear how you find them. If mindful parenting is your thing them we have just the community for you and we'd love to welcome you in.